Yogi Dr. Malik is the yoga guru and world expert in the subject of yoga. He has been practising and researching the subject for over 35 years. He has also been teaching yoga for over 15 years and is fluent in several languages from the Indian sub-continent including Hindi, Punjabi and Urdu. Yogi Dr. Malik was born in Kashmir and was directly instructed by Yogis of the Himalayan region at the age of 6. A wandering austere Sadhu for over 10 years he received spiritual training from practitioners of other spiritual traditions too, including Lamas, Sufis and Monks. He has been practising yoga for over 35 years and teaching for over 15 years. A certified yoga instructor, Yogi Dr. Malik is also a distinguished writer. 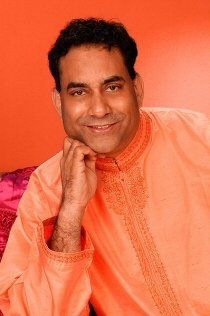 Yogi Dr. Malik also known as Yogi Maharaj is an advanced yoga practitioner and teaches all advanced asanas. He also qualified as a yoga teacher. In his very popular monthly column �Ask Yogi Dr. Malik� in YOGA Magazine he answers readers question regarding all aspects of yoga.